This weekend I had a no computer (and no phone) weekend. And I liked it! I have been spending unhealthy amounts of time on the computer of late. So, after a DnM with Mr Peck ... (that may or may not have involved some hysterical-ness and crying) I decided enough was enough and stepped away from the computer. I am going to try and keep away from it a lot more as well. It's a creativity zapper. It doesn't feel like it when you are constantly looking at other people's blogs and ideas and pinterst... but ultimately, when you are doing that all the time, when is there time to do your own thing? For me, there wasn't any. So... here's me saying I'm taking time off from blogging so much, and I'm banning myself from pinterest hehe.. nooooooooo! But true. Here's what I got up to when I didn't have the computer to inhibit me. 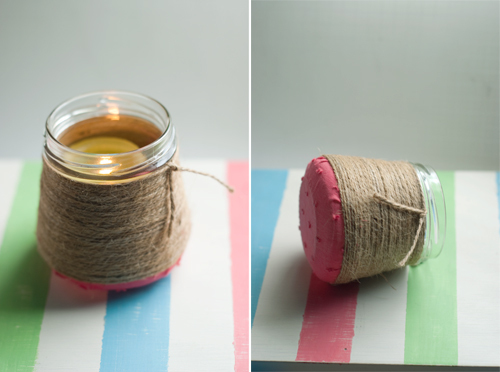 * recycled jar into candle holder. 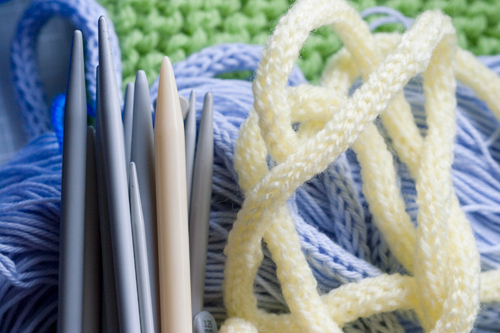 * Aaand... a whole lot of knitting!